Whilst it is pitched as having the qualities we love from open designs it still very much a SINE in terms of design and purposed intent though with less isolation. 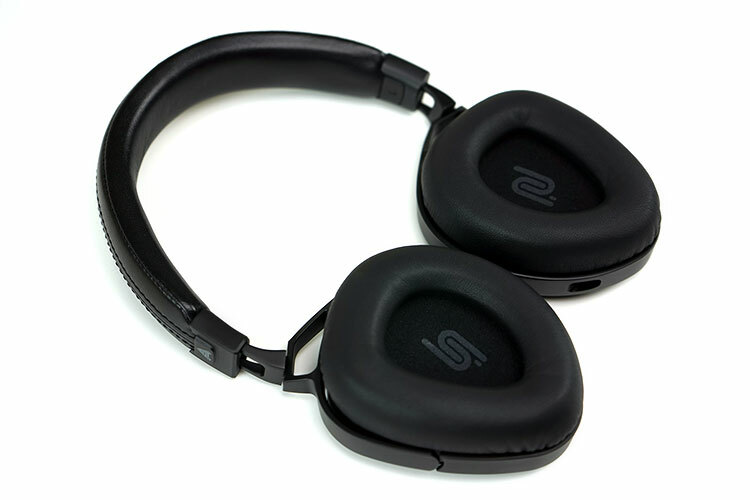 This is less of an outdoor headphone but still a transportable option. Think office, long train rides maybe, at home and in the office. At 240g the SINE DX is going to be much more comfortable on your head than any of the LCD series for moving around with. The initial discussions seemed to indicate a very limited run of just 80 making it one of those very rare beasts. Now, though, it looks like the first 80 would be sold at a very competitive $499 and once restocked it would be sold at $599 making this a slightly more premium version of the SINE. The Audeze website pricing as of today seems to confirm that but they also seem to be still selling like hot cakes. SINE owners will recognize the form factor of the DX in an instant since it is basically the same in terms of design. The fruits of the DesignWorksUSA partnership really look rich in potential with the EL8 and now the SINE DX taking their cues from the drawing boards of one of BMW’s best and brightest. This is a supra-aural design, an on-ear form factor with a ‘harp’ shaped cup designed to maximize the seal and fit for the average human ear. 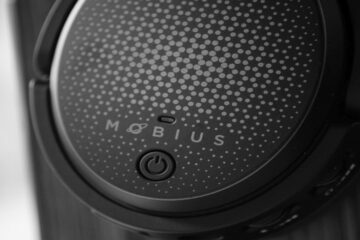 It has a slight industrial leaning with a low profile single headband shape yet everything is beautifully cornered with smooth elongated curves on the gimbals right down to how the cable connectors join and flow from the base of the cup. The DX gimbal system does allow for swivel so the cups can be laid flat or reversed which will please those who like to leave them hanging around their necks for lengthy periods. It looks good in the pictures but the reality is far better than I expected with particular reference to the aesthetically pleasing contrasting visuals of the grilled open plated front plates and the more monotone and subtler frame. 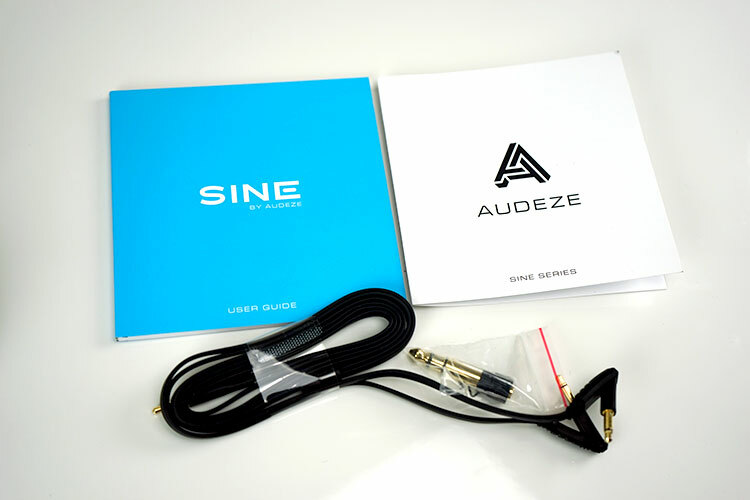 Granted Audeze have shown us a path here before with the iSINE series IEMs proving indeed that full-range planar technology can be shrunk down to incredible sizes and still produce a top quality sound so I do expect the weight war to a work in progress for some time to come. The SINE DX uses a reasonably long 2.5m flat cable in keeping with their stock LCD cables which also have a flat design. I suspect both are cut from the same cloth. The cable is terminated at the top end with dual mono 3.5mm jacks and a straight stereo 3.5mm jack on the other end, all gold plated. Now what makes the SINE DX a bit more unique is the integrated design of the cup sockets and the cable mono jacks. Rather than straight jacks, they are angled and are inserted at an angle. It is not too dissimilar to how the connection design works on the iSINE series. This method allows the cable to flow away naturally from the cup in a way consistent with the form factor of the cup itself. It also means the likelihood of possible cable jack bumping accidents with hair, shoulders, and collars are reduced. It is an elegant and harmonious visual though on the flip-side it makes aftermarket cable designs quite awkward as the proprietary design does require a very long, thin or small 3.5mm mono jack connector though they will also work with 3.5mm TRS plugs with proper pin-outs. The clamp on the SINE DX is pretty strong though with a minor bit of flexing you can loosen it up with some care. That being said the strong clamp combined with the smallish angular cup shape means there is higher than normal degree of sideways pressure from the DX onto the outer ear which will lead to levels of discomfort after an hour or two. You can extend the band just a bit more to loosen the clamp marginally but you may lose some seal and it may also become a bit loose on the head. On the flip side, they do not move at all with the correct headband setting, this is a rock solid headphone on your head. The padding on the band is quite supple so whilst the pressure balance is biased to the sides you will not find any annoying focused pressure points on the top of your head. I did find however the level of adjustment required to get the right seal to rather meticulous and studied affair with the SINE DX. It does seem a bit temperamental in terms of where exactly it rests on your ear and the type of sound you get. This could well be anecdotal evidence given all our ears are different but just lifting the bottom end by a hair’s breadth actually improved the performance whereas leaving them full on seemed to just muffle it a bit too much like how a foam tip works when you insert it too deep or at too much of an angle. 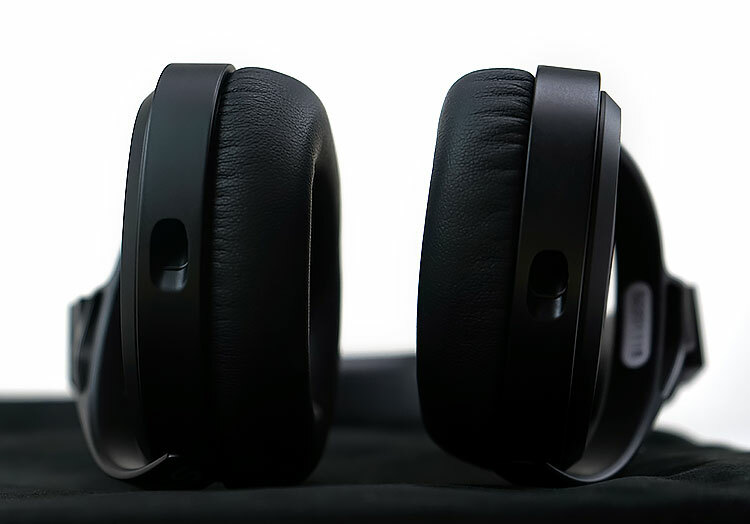 In any event, you will find yourself adjusting the DX position on your ear quite a lot to get the right balance between sound quality, seal, and comfort. Audeze does great retail packages these days. I suspect partly due to the reduced size of the mid-range product line, partly due to the work with DesignWorksUSA and finally simply evolving as a company. The DX SINE, however, does away with the more Apple friendly white packaging of the SINE and instead goes with a darker black package design. I guess more in keeping with how us audiophiles like our boxes to come, well at least traditionally like them to come. Everything inside is well organized from the contoured form holder for the headphones and pull out tray to the cleanly organized if slightly spartan accessory line up. One thing that did strike me as strange was the inclusion of a soft pouch as opposed to a hard case. The pouch is a beautifully finished velvet self-sealing design with a tiny internally lined pocket for holding the cable separately. On that score, it’s an excellent proposition but nevertheless a proposition that offers less protection on the go than a small hard case could have. 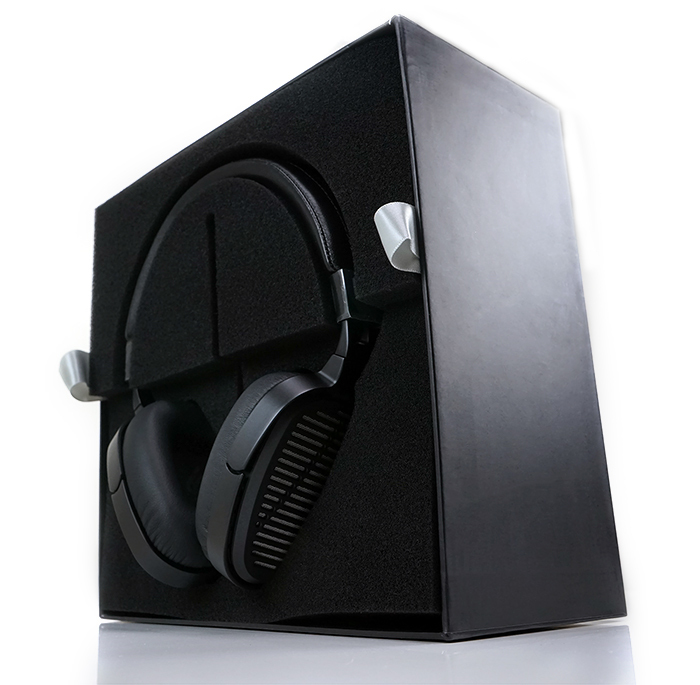 One could argue such designs, like the slightly larger MrSpeakers AEON hard case adds a lot of girth to an otherwise svelte product but it would be nice to have had the option much like the wood or travel case of the LCD series. Apart from the pouch, you get a single gold plated quarter jack adapter, the cable as well as a user manual and SINE series brochure. The DX has a low-to-mid-range bias with a rolled-off top end giving it a fairly powerful if somewhat darkish tonal quality. It is a smooth sound, highly musical in many respects, but it’s not the airiest of presentations with a lack of headroom beyond the 3-4k marker where the roll gently starts to pick up speed. Yes, it is an open back and it will sound more spacious and natural than the SINE though by all accounts the treble on the SINE might just be a little perkier or more forward sounding. Presentation wise Audeze have gone for an elevated 1-2k mid-range and a slight dip from the midbass to lower mids for instrumental clarity. You get some good vocal presence though slightly favoring lower range male vocals over ethereal airy female vocal pitching. The staging is more intimate than expansive with instrumental positioning behind vocals and slightly on the lean side with that lower mid dipping. However, this does help prevent bass bleed and keeps the lower mid presentation relatively clean. There is little in the way of perceptible roll off from the SINE DX bass though and you do get a lovely sense of power and speed in its bass fundamentals with a good transient response. This is no plodder, the DX has some very good pace and depth indeed. The low-end on the DX is well extended, substantive and lacking in any real roll off. Up to the 100Hz marker, I actually find it boosted but relatively linear without any distracting mid-bass peaks. There is a mild drop off of around 2-3dB to the lower mids at around the 800Hz marker for some additional clarity and to prevent any unwanted bass bleed. The planar driver bass response is very evenly balanced though boosted so whilst there is a degree of warmth coming in its not an uneven sound. It’s also pleasingly pacy with good snap and a welcome level of physicality, particularly on low-end rumble prowess. It’s this sub-bass response and linear curve up to 100Hz that puts the power and PRaT in the DX’s fundamentals and gives it that generally musical tone. Lower mids on the DX are a little dipped though by all accounts not quite as dipped as the SINE. Instrumental clarity is good with excellent control on any bass bleed but it is not the fattest or richest sound out there. Guitar work will sound clean and with good pace but they are not front and center sitting slightly more behind vocals which benefit from an elevated 800Hz-2k response curve. 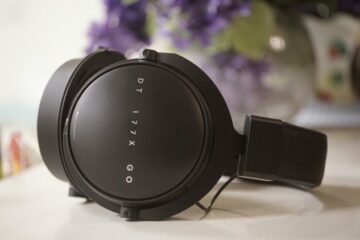 Timbre on the DX is natural to just a smidgen slightly dark in quality with virtually no nasty partial overtones making it really easy on the ear. It’s not quite as ‘shouty’ as the SINE could get, it is a bit more balanced in that respect in its mids performance. Instrumental layering and imaging are average for an open headphone but good for a smaller on ear headphone. You won’t get a huge spacious and airy level of separation but it does sound wider and less dense sounding than the SINE’s more closed-in experience. I must add a caveat though at this stage with the DX’s instrumental layering and imaging. The better the amping the better the results, it will open up a lot more. Vocals are very smooth up to 2k though the higher the pitch the slightly edgier they can get. However, this is very minor for me personally. Otherwise, the vast majority of vocals sound pleasing natural and sibilant free. If you are coming from the LCD series you will be familiar with the vocal tone of the SINE DX, it’s not that dissimilar in many ways. In a sense, once you hit the treble you are already on the downwards curve response-wise. The DX really starts easing off in the upper mids from around 2-4k with only a slight pause on its downward journey at 5k and again at 10-12k. So, on one hand, you get a very smooth sounding top-end that is immensely forgiving and stays well clear of uneven peaks and nasty upper harmonics. However, at the same time, you lose a bit of snap and sparkle in the lower treble and lack of exciting contrast to its formidable bass performance. With that dark tone, you also will struggle a little bit for air and headroom with a weaker source or amp that I would normally look for in an open-design. It does, however, have a marked improvement in clarity and articulation with a good amp. Some of this will boil down to preference. If you are after a musically forgiving clean sound without a hint of fatigue then this treble is tailor made for you. However, if the tuning is a pitched to audiophiles the treble is a slight weak spot in an otherwise very musical offering. If you have a good EQ system I would suggest throwing in around 5-6dB of boosting around 4k-8k which gave me a touch more contrast and enjoyable sparkle without any unwelcome distortion. Don’t mind my previous question. I just read up on it and it wasn’t tuned to be a match for the cipher cable like the closed back counterpart. What does power handling mean with headphones? For instance, the DT 1350 has a power handling capacity of 100 mW, and my Sony IEMs say 500 mW, while this headphone says 6 watts! Do I need to be concerned about what headphones are plugged into? It is the amount of power it can handle before it pops basically. I think the tank comparison is more to do with their physical build more than driver tolerance. The release makes a lot of sense for no other reason than resolving the comfort issue that comes with the normal sine. The only confusing concept here is a open back portable full size headphone. I suppose these are the ultimate headphone for when you get to you hotel room. Fortunately it does seem like it sound good period at a good price too. I think that is always the case with an open back that is portable at the same time and I agree it requires a bit of quiet time to really capitalize on the excellent sound quality. I am not 100% convinced the fit is night and day difference with the SINE since both seem to use the same clamping pressure and pads. Perhaps the more open design lets a little more air hit the ear and keeps it cooler for longer. I cant say I’ve owned a strong clamp headphone yet. The Nighthawk and Mh40 aren’t known for that. 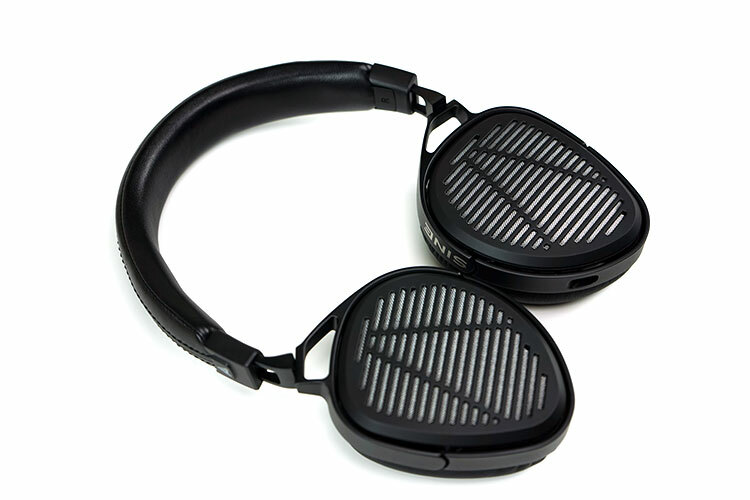 These do make me wonder if they may provide similar performance to the Audeze El-8 open back. 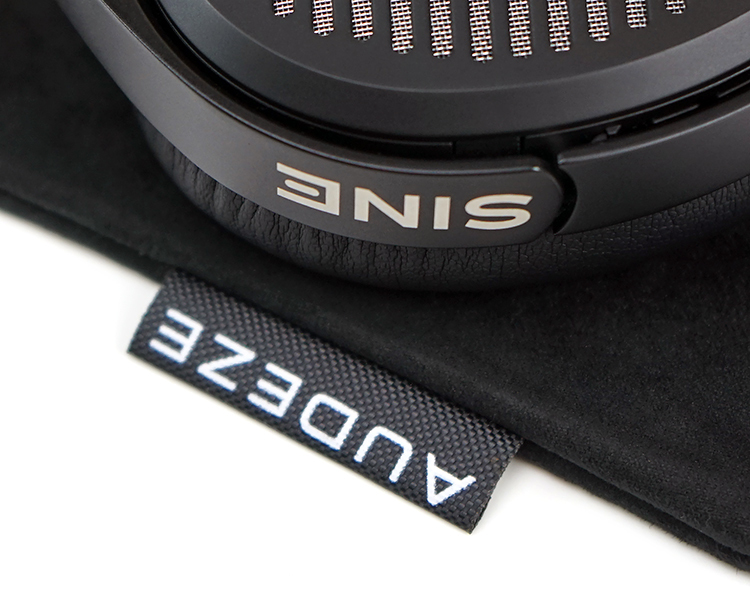 They sort of occupy the same niche in Audeze product line with 100 bucks separating them. They are not as open sounding as the EL-8 and treble performance is far more laid back but it is an easier listen to my ears and better tuned.